chips | Gluten Free? Gimme Three! 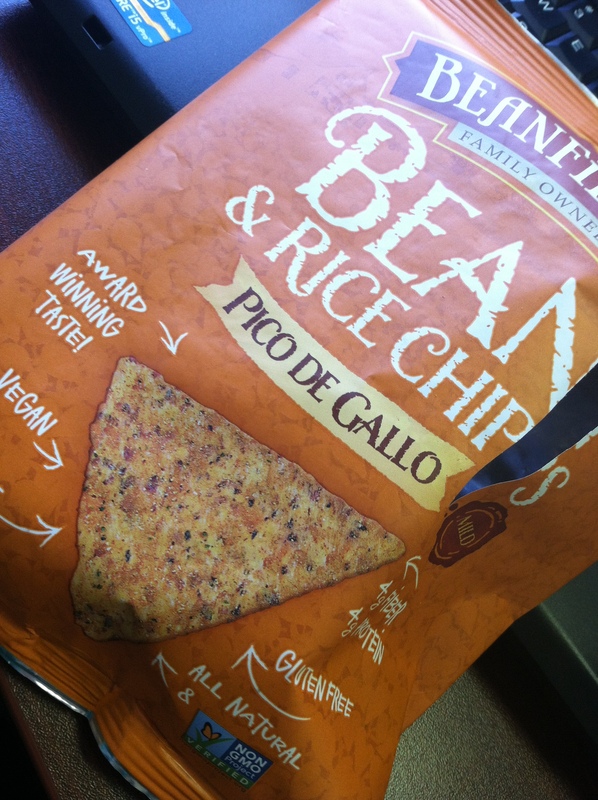 Beanfields Chips: move over Doritos! It’s a miracle that most Doritos are gluten free. 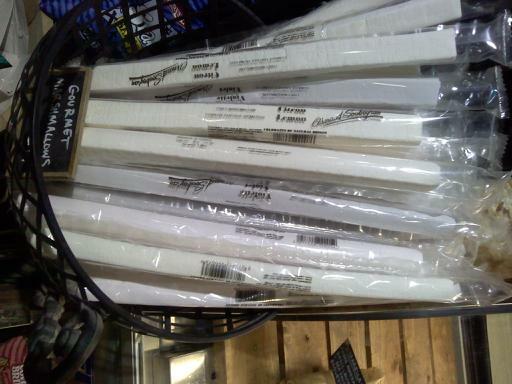 They’re available everywhere, and bring you right back to pizza parties in the 3rd grade. However, no one feels great after eating a bag of Doritos. Your tongue turns bright orange and you haven’t eaten anything with nutritional value. But what if you could have a chip that tasted eerily similar to a Dorito, only made out of beans and rice? 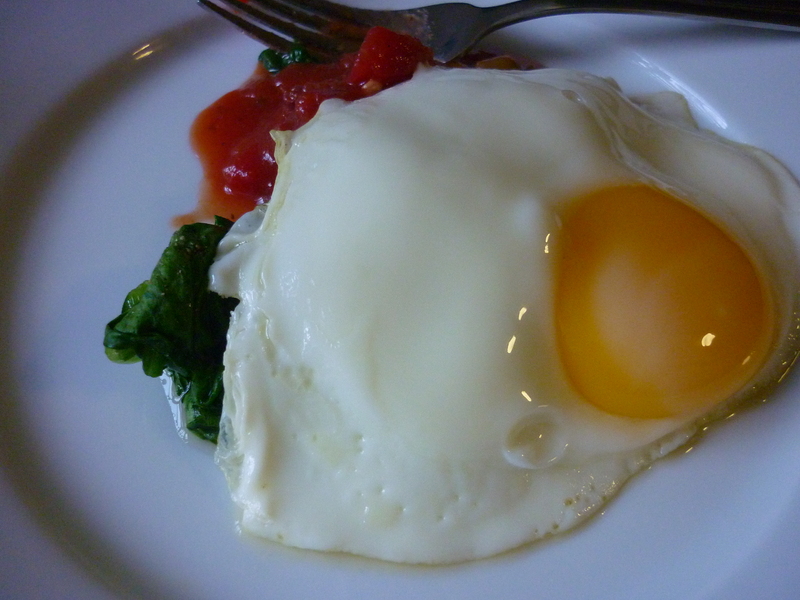 With a good dose of protein and fiber? AND they’re low in sodium, low in fat, and gluten free? The good people at Beanfields sent me samples of all of their flavors to try, but I think that the Nacho or Pico De Gallo ones are my favorites. They’re light and crispy, and completely snackable. The Sea Salt and Unsalted are more suited to dipping in hummus or salsa and would make a great alternative to the less-healthy corn tortilla chips. The sad thing is that when i looked in this box I thought, “Wow! I have a lifetime supply of chips!” Then two weeks later they were all gone. 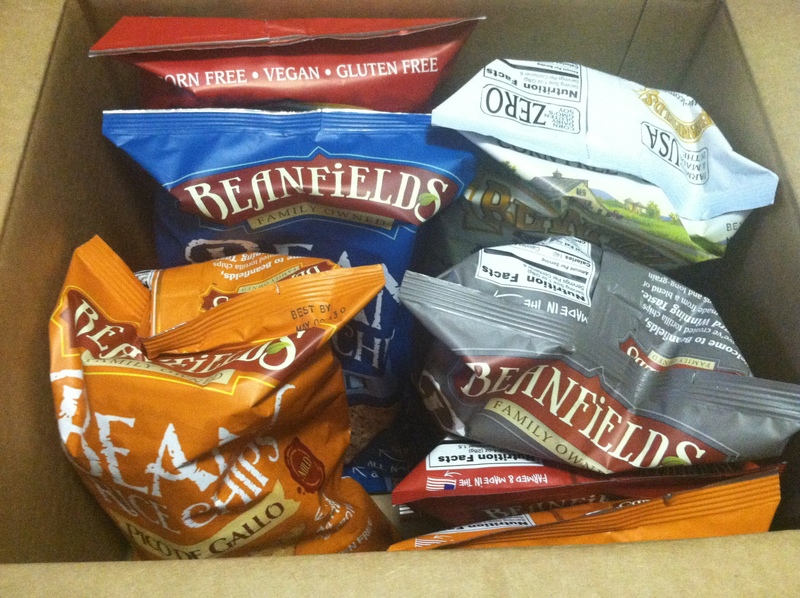 Use the store locator on Beanfield’s website to find them at a store near you! I saw a post about gluten free mainstream products, so I thought I would do my own. My fridge and cupboards are usually about 80% natural/organic and 20% mainstream products, and I usually only buy mainstream products that I LOVE and can’t live without. I did not include things that are obviously gluten free, whole foods, or things that are incredibly healthy really, but things that are truly just snackable. 1. Mini Snickers bars – not that you can call a candy bar a snack, but I love a couple of these in the middle of a rough work day. And don’t get me started on how adorable the Easter pastel colored ones are. 5. Fritos – horrible for you, but so addictive. On top of veggie chili is so ghettolicious. The flavor twists Honey BBQ flavored ones are also gluten free. And equally awful for you. 6. Skinny Cow truffle bars – White Mint is my fave, I have one of these pretty much every day. 7. Emerald cocoa roast almonds – my aunt introduced me to these. 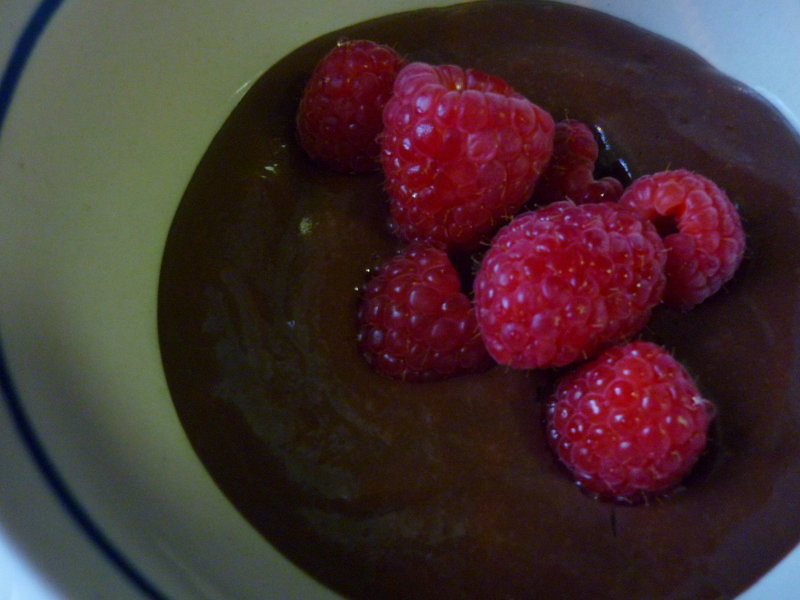 It’s the closest you can get to dunking almonds in chocolate while still keeping them healthy. 8. Mentos – more of a mint than a snack, but sometimes I eat like five of them. In which case I make them a snack, albeit a bad one. Any guilty pleasure gluten free snacks to add? 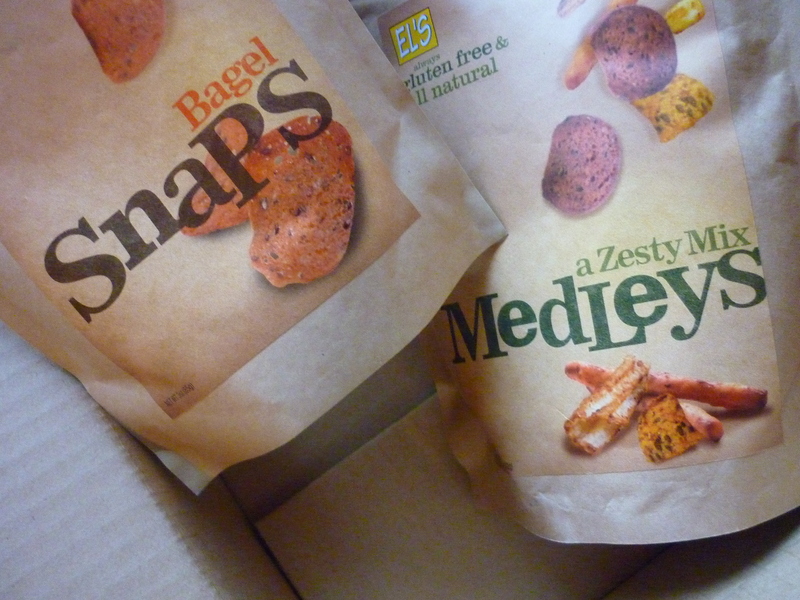 Apparently El’s Kitchen has been all over the place lately getting the word out about their gluten free bagel chips and Gardetto-like snack mix called “Medleys”. I saw a giveaway on Gluten Free is Life yesterday, as well as a review from Gluten Free and the City. Maybe they’re looking to build out their testimonials section? Well, I’m happy to help! They were so nice to offer to send me a sample bag of each as well. When they arrived in my mailbox I immediately ripped them open and dumped them on a plate to see what was inside. 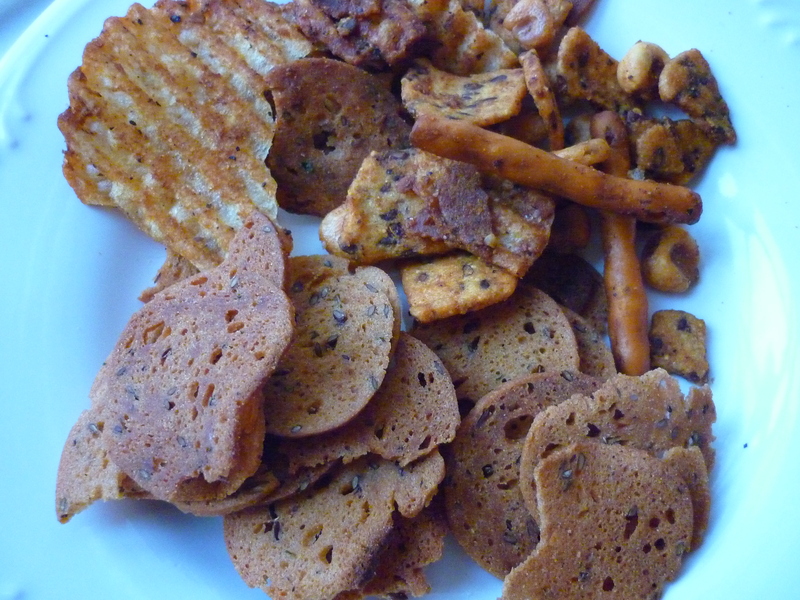 This is not your average snack mix, people. The Medleys mix was so interesting and fun! There were corn nuts, which I don’t even remember eating before, and now I don’t know how they were absent from my life for 24 years. So yummy! Like edible popcorn kernels mixed with a nut. Plus there were these potato cracker/chip pieces that were ultra crunchy and had ridges on them. And to round it out, there were little Frito-like corn chips. All covered in delicious spicy coating of Worcestershire, honey, paprika, cumin, and a bunch of other ingredients. 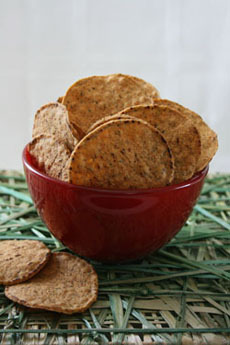 The bagel chips are really crunchy and thin, but I was dying to dip them into something. 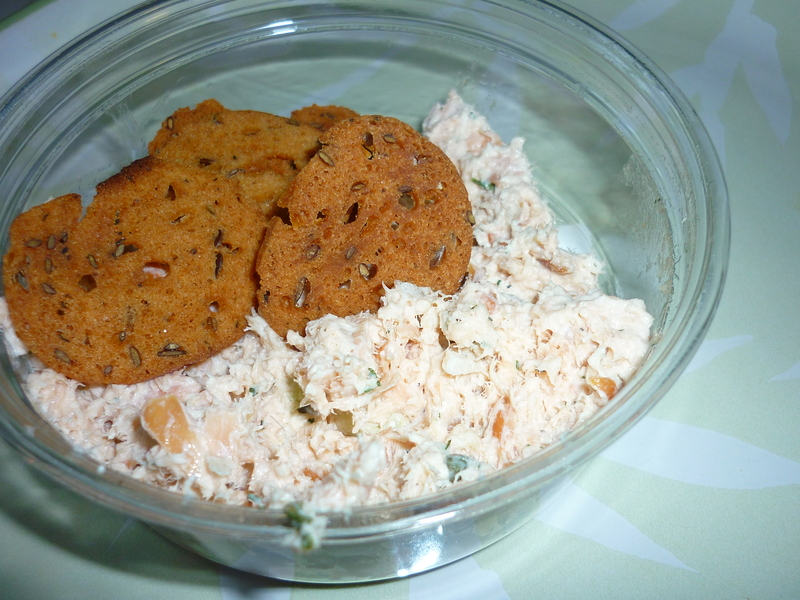 So I pulled out some smoked salmon dip from Whole Foods and got to it. And that is the bagel chips’ natural state. SO good with the dip. They’re so crunchy that they didn’t break when I loaded it up with dip. Last night I decided that they needed to go on top of soup. 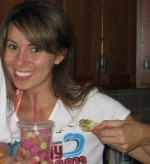 I used to get soup at Bruegger’s Bagels and use their bagel chips to dunk in my soup. Those were thick, and still a bit hard to gnaw on after they waded in the soup for awhile (in a good way). 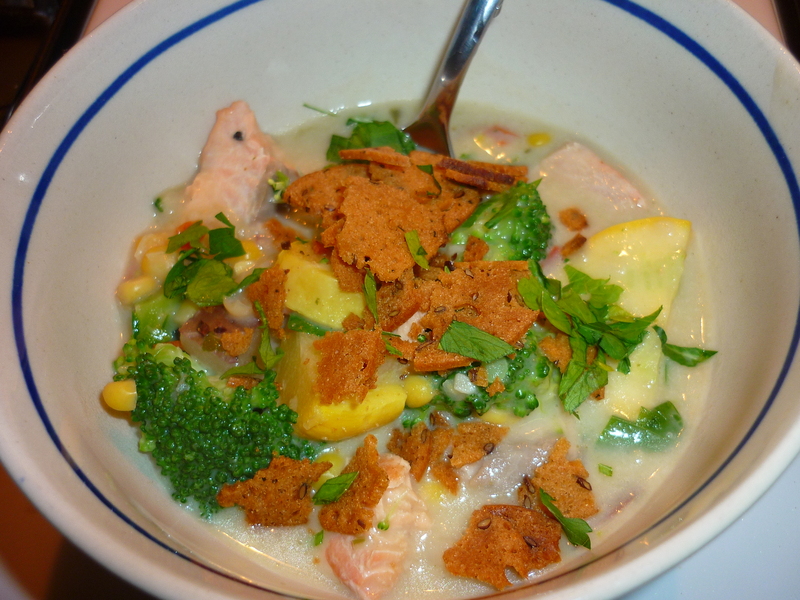 Doesn’t that homemade roasted corn and poblano chowder look good? Oh, who am I kidding? I bought one of those pre-made quarts of soup from Whole Foods. 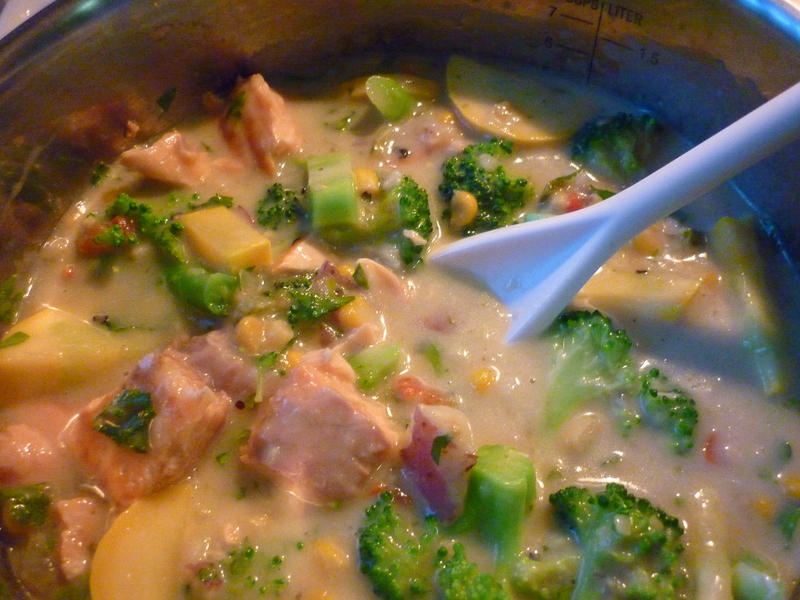 I did add in fresh broccoli, yellow squash, and a salmon fillet. That has to count for something, right? Kind of like I remember. I think that if I’m truly going to get the Bruegger’s effect, I’ll need to make my own really thick bagel chips from gf bagels at some point. El’s doesn’t sell their products in DC yet, so you’ll have to buy them online. Or check if they have them in your area on their website. They would make a great gift for your gluten free BFF too, since it’s a specialty product that you won’t be able to recreate. I think we can safely say that El’s owns the market in gf bagel chips and snack mix. Crunch away! 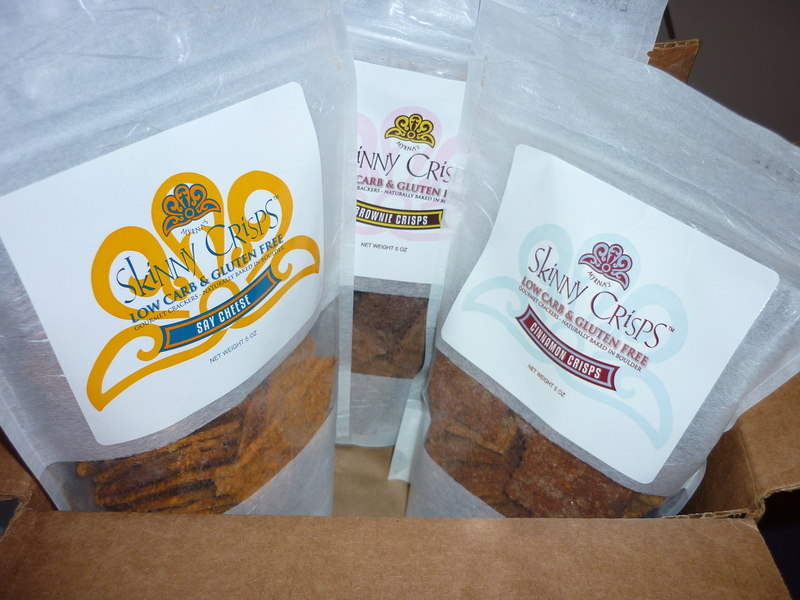 I’ve tried two “skinny” snacks lately that I’m hooked on. I kind of hate that I’m even calling these skinny snacks, but they’re skinny in shape and low in calories, so the name fits. None of these snacks will make you skinny, especially when you eat four servings at a time like I do. But they sure are tasty! These are basically like fish food for people. 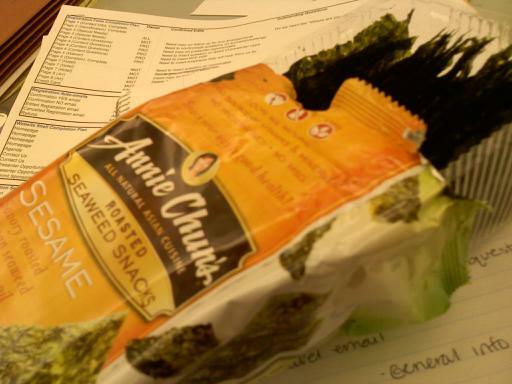 They’re a great thing to mindlessly snack on at work, and have a ton of Vitamin A. 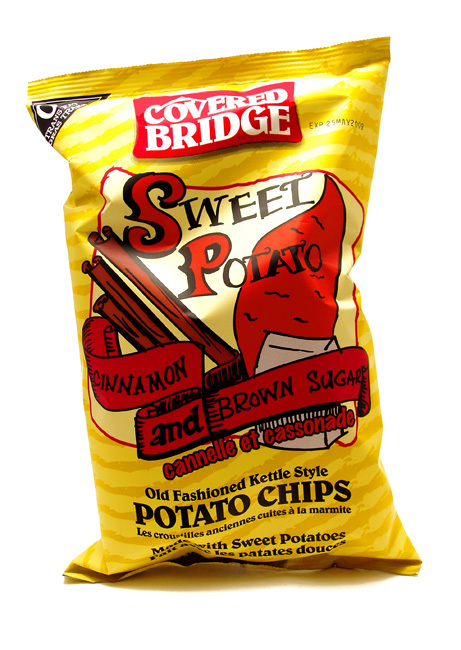 You will look like a weirdo eating these, but they’re pretty addictive. I brought these to a potluck at work, and was surprised to hear how much everyone loved them! The spicy chips taste JUST like the crispy part of falafel, only they aren’t fried (11 chips for 118 cals) and you can store them for longer.